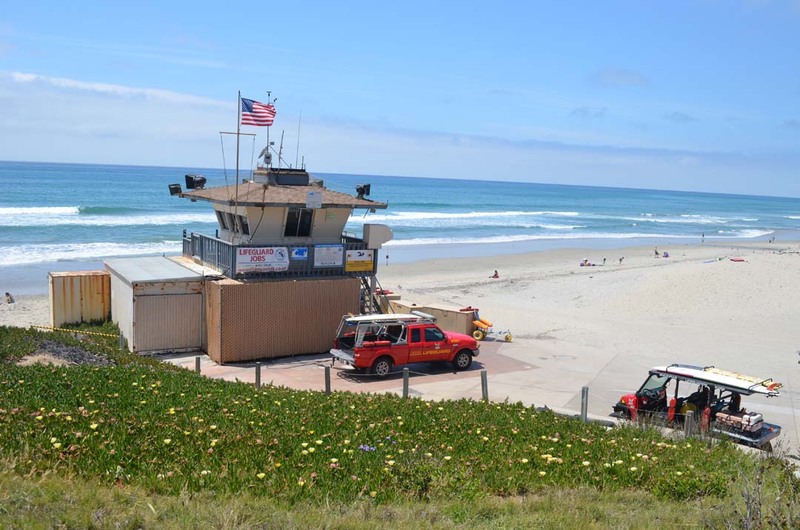 ENCINITAS — The Moonlight Beach lifeguard tower project is a go, as the city’s Planning Commission unanimously approved the project at its April 28 meeting. The commission took little time to swiftly move and approve the project, which will replace the dilapidated 60-year-old tower that currently serves as the headquarters of the city’s marine operations. The plans call for the city to demolish the 60-year-old tower and replace it with a 2,200-square-foot facility that officials said should serve as the hub for city marine operations for the next 50 years. Construction is expected to start in October, barring any appeals or other issues, and could be open as early as April 2017. City staff recently made some changes to the plans for the project after receiving a consultant report that said the structure was vulnerable to sea level rise. In response to the report, staff changed the design to make the first floor of the facility “floodable” by storing electronics and other sensitive instruments on the top floor. They also designed a foundation of drilled cast-in-place concrete piers connected with grade beams, which will limit the amount of sand that will be carved from the building’s base due to wave movement, and incorporated a scour depth of -2 feet into the building foundation design. The City Council, in 2014, approved the selling of bonds to pay for the project, along with the purchase of the Pacific View Elementary School site. The city will pay a little over $800,000 annually over 30 years to pay off the debt. Commission Chairman Michael Glenn O’Grady and Commissioner Tasha Boerner-Horvath echoed Brandenburg’s sentiments. “As a father of a son who used to be a lifeguard and would hear about the condition of the current tower, this can’t happen soon enough,” O’Grady said.